The latest versions of Safari for iPhone have an even faster way to open a new Safari tab, without having to enter into the broader tab view window. 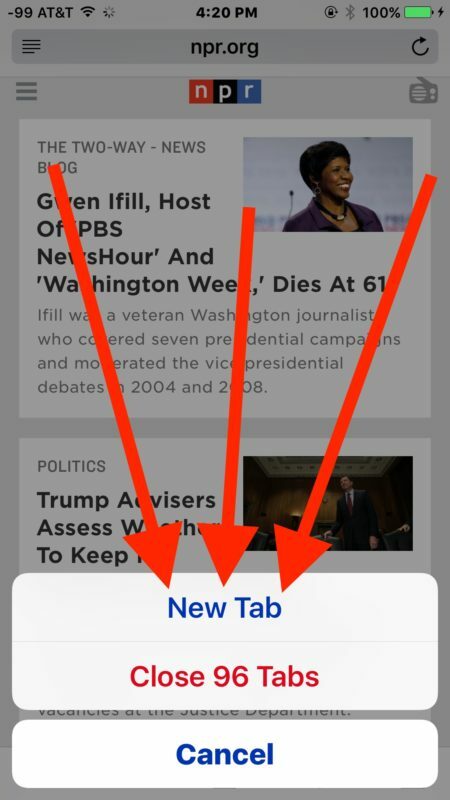 It’s a great trick, but it’s a little hidden and less than obvious, but nonetheless offers the quickest way possible to open a new browser tab in Safari for iOS. Simple, fast, and easy. Even if the feature is a little hidden behind a long tap and hold, it’s still easy to remember once you get the swing of things. Note this feature is primarily aimed at iPhone (and iPod touch users), as it’s less important on an iPad, since the iPad version of Safari in iOS always has the new tab “+” plus button in the navigation bar. You can open as many new tabs as you want in the latest versions of Safari for iOS. Since it can quickly get overwhelming to have many dozens of tabs open, you can then narrow things down with the wonderfully helpful search tabs feature of Safari in iOS, which allow you to narrow down your tabs by search terms. It does work both in normal and private mode, I tried it on my iphone 6s. And, by the way, this feature also works on iPad (and in both modes). I’ve tried that too on my original iPad Air. Both devices are running iOS 10. Not surprising really, because this is opening a new browser tab in Safari. It is not searching anything. I don’t get it. Just clicking on those squares and then clicking on the + sign does the same thing. How is this any quicker? I know, right? Usual way might even be faster in miliseconds. 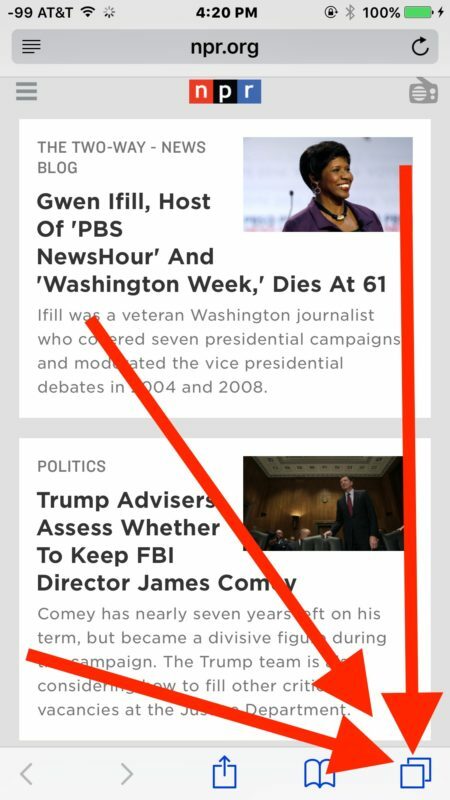 I still think Apple should make better use of swiping gestures, even in Safari, for example by allowing the user to swipe the open tab from left to write to open a new empty tab (it could, for example, show the user’s bookmarks). Exactly… Still a two-step process where you have to tap in two different places. How do you quickly open a tab? Without scrolling thru the page you don’t want to scroll thru because you’re still reading it? This is a real big bug. Help!